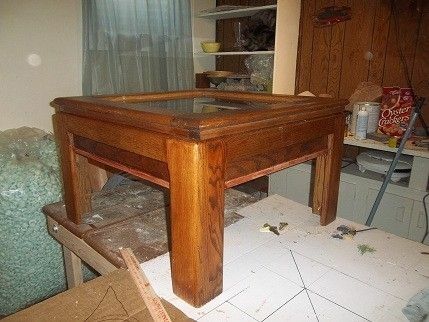 This is a table I bought from Goodwill, completely tore it down and refinished it. 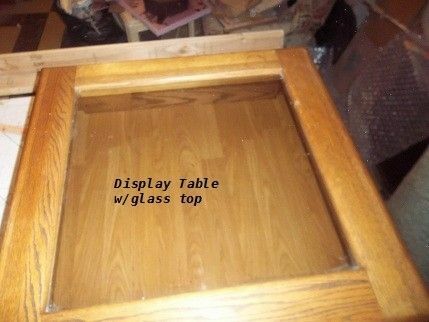 I added a 6" deep cabinet b3elow the glass for displaying keepsakes, awards, footballs, jerseys etc. 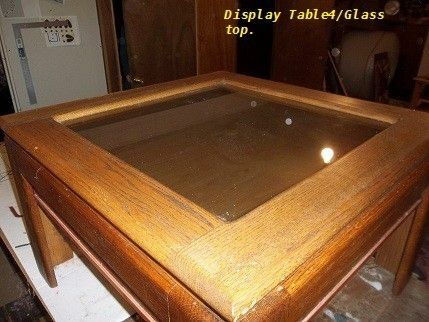 Table is 30" x30" x19" high.